Lawan Morrison is the founding director of Bremerton Dance Center. She has been providing dance instruction to Kitsap County for over forty five years, and has taught dance since 1958. In 1972, she founded Peninsula Dance Theatre and currently serves as PDT’s Artistic Director. As a choreographer, she has collaborated with directors throughout the local area, including Oregon and Montana. In 2002, Ms. Morrison received the YWCA's coveted "Women of Achievement Award." She is an avid member of the "Red Hat Club." An active member of the West Sound Arts Council board, Ms. Morrison has worked to promote the arts in the greater Kitsap community for many years. Ms. Morrison has twice served as president of Regional Dance America/Pacific. In 2006, she had the honor of hosting the RDA/Pacific Dance Festival. Twenty-two dance companies from the pacific region participated in the festival. Mallory received her training with Bremerton Dance Center and joined PDT as a dancer in 1998. Much of Ms. Morrison’s dance education also stems from attending several summer dance intensive across the US. As a PDT dancer, Ms. Morrison toured with the company to France, in 2001 and in 2006, she performed at Disney World and with the Royal Caribbean Cruise line tour. Outside of PDT she has had professional opportunities to perform with Dance This! a company based in Seattle and as a backup dancer in Cheri Moon’s, One More Crazy Summer. In 2008, Ms. Morrison graduated with a bachelor’s degree in Business Administration through Central Washington University. In the summer of 2005 Mallory attended Jillana's Technique in Taos, for teachers and in 2010 she attended the Central Pennsylvania Youth Ballet Teacher's Program. She is also a certified ABT Teacher for levels Pre-Primary through Level 3. Ms. Morrison received the Kitsap Sun’s 20 under 40 for 2015 and the Women of Achievement for Arts, Culture, design from the YWCA in 2016. As the Assistant Artistic Director Ms. Morrison hopes to inspire every dancer to reach his or her highest aspirations. Lillian Smith has been part of our front office staff since February 2017. Lillian and her husband Kyle have one son, Cohen. She is very family focused and can't help but bring that nurturing capacity into our office. Even though Lillian is one of our newest staff members, she is eager to help and assist in any way she can. Grateful for an amazing group of individuals to work alongside, Lillian strives to make sure that all dancers and families feel welcomed and appreciated at Bremerton Dance Center. Diana Lau has danced and taught ballet and jazz for fifteen years in the Kitsap Peninsula area. Diana attended UC Irvine where she received a Bachelor of Fine Arts in dance. She danced professionally with New Urban Dance in the San Francisco Bay Area. Diana teaches for Bremerton Dance Center and Olympic College. She has choreographed for Peninsula Dance Theatre, Olympic College, C-Stock, Bremerton Community Theatre, Central Kitsap High School Dance Team and Kitsap Opera. Her choreography encompasses a variety of works including Oklahoma!, West Side Story, Little Shop of Horrors and 7 Brides for 7 Brothers. She is grateful to be a part of Kitsap County’s artistic community and the growth and development of its youth. She, and husband Harvey, are very proud parents of two wonderful kids who inspire her to continue to contribute to the arts. Nicole trained with Stanley Holden, Charles and Phillip Fuller, and as well as Cynthia Young in Los Angeles. She also studied with Melissa Hayden at North Carolina School of the Arts. She then went on and danced with Ballet Omaha, Cincinnati Ballet and Milwaukee Ballet. After retiring from ballet she attended the University of Wisconsin, Madison to receive a Psychology Degree. Nicole and her husband, Jason, have three boys; Malcolm, and the twins, Nathaniel and Zachary, who keep them very busy. Betsy has been teaching ballet at BDC for more years than she can remember and has been involved with PDT in various capacities, including: Orchestra manager, choreographer, set designer, stage hand and many roles in between. Betsy received her dance training at Cornish College of the Arts where she performed with the Cornish Ballet. She danced with members of the First Chamber Dance Company, as well as other independent choreographers, in the Seattle area. Betsy feels PDT/BDC offers many opportunities to participate creatively in the dance world, whether as a dancer, teacher or choreographer. Ryan began dancing 20 years ago in Port Orchard where he studied Tap and Jazz. 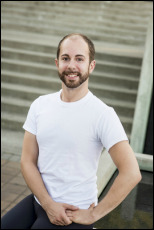 Ryan began dancing with Peninsula Dance Theatre and Bremerton Dance Center in 2007. He was also a Principal member with PDT for 10 years. He now teaches the Jazz and Tap classes at Bremerton Dance Center, where he uses the Al Gilbert Tap Syllabus for the Tap classes. Ryan is also a seasonal Choreographer with CSTOCK in Silverdale where he choreographed Footloose, Mary Poppins, Shrek the Musical and Joseph and the Amazing Technicolor Dreamcoat. He received the award for Best Choreography for Joseph and the Amazing Technicolor Dreamcoat for the 2014-2015 season with CSTOCK. Jason trained with Harid Conservatory, Virginia School of the Arts, San Francisco Ballet, and went on to dance with Richmond Ballet and Cincinnati Ballet. Jason received an Industrial Engineer Degree form University of Wisconsin, Madison, and currently works at Puget Sound Naval Shipyard. ​Meaghan began dancing at Bremerton Dance Center in 1995, where she trained in ballet, tap, jazz, and modern dance. She also was a dancer with Peninsula Dance Theatre for a few years. Meaghan danced with Orchesis Dance Company while attending Central Washington University for a Bachelors in Fashion Merchandising and a Minor in Dance. As well as performing with Orchesis, she choreographed, worked as the Costume director, and taught Stage Makeup Classes. Now she works as an Assistant Teacher at her daughters preschool and this will be her first year teaching Combo classes at Bremerton Dance Center. Meaghan is very excited to work with Bremerton Dance Center again and introduce her daughter to the dance world.